Also be sure to see the following if interested in handheld devices: Sony PSP-3000 VS. the PSP Go. I personally like the Nintendo handhelds better, but that’s just me! Fantastic Amazon Nintendo 3DS Deal! The Nintendo 3DS is about to be released and Amazon is celebrating by offering an awesome deal: Order a Nintendo 3DS, Get a $25 3DS Game Credit! Just a FYI for those who are interested. I plan on getting one ASAP myself and thought others may be interested since you get a game credit 🙂 Amazon delivers fast and you can get both their Aqua Blue and Cosmo Black Nintendo 3DS models with this deal. And such games like The Sims 3 or even an awesome fighting / bralwing game such as the beloved Super Street Fighter IV: 3D Edition qualify for the game credit. If there is a game out there though that I personally am waiting to play on the 3DS, it’s the new Zelda: Ocarina of Time game port, which features 3D elements among better game graphics. Who would have guessed that, huh? When it comes to size, we are mostly interested in the LCD screen size in comparison to the standard DSi. In comparison, the LCD screen size for the standard Nintendo DSi is 3.25″, whereas the DSi XL screen size is a whopping 4.2″ on both screens. 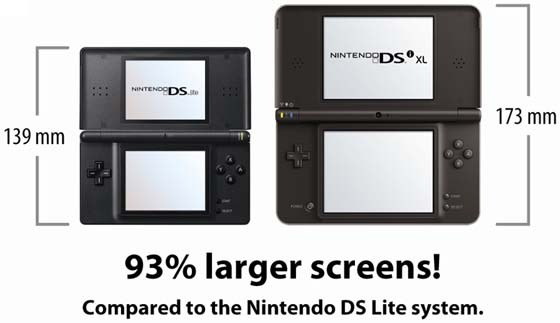 This means that the DSi XL screens are 93% larger than that of the Nintendo DS Lite’s LCD screens, which are only 3.0″. That is a very substantial increase of a whole 1.25″, making the DSi LL / XL sound like a mammoth in comparison! Makes you wonder if Nintendo will release a Nintendo 3DS XL version. 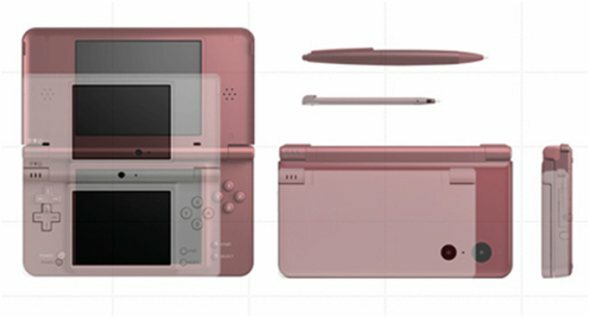 To make use of the larger screens for this DS that looks as if it’s on steroids, a larger stylus was also created. It is more like a pen than the previous design and feels very nice in your hands. Something worth also noting is that the battery life of the DSi XL is actually considerably longer than that of the normal DSi, which wouldn’t be obvious right away because of the large screen size. The DSi XL uses a 1050 mAh battery while the standard DSi uses a 840 mAh battery. The DS Lite on the other hand uses a 1000 mAh battery and the original DS, the DS Phat, uses a 850 mAh battery. • Brain Age Express: Math – Train your brain with lots of new and familiar activities in this math-focused edition of the popular Brain Age series. • Brain Age Express: Arts & Letters – Enjoy another round of training your brain in minutes a day with this artistically focused Brain Age title! • Photo Clock – Use images taken with the Nintendo DSi Camera application as the background for a clock! The above picture gives a great comparison of the DSi and DSi XL. Also, note how different in size the DSi stylus is in comparison to the DSi LL / XL pen. 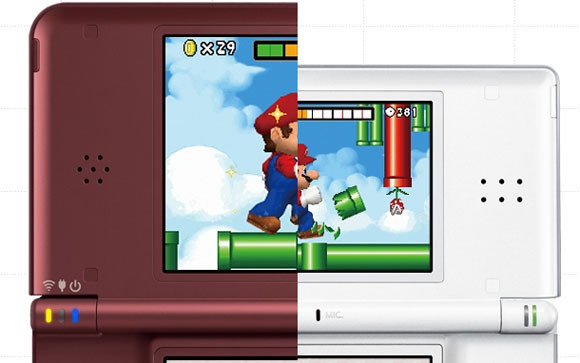 I like the above picture because it really helps you see the difference in how the picture will look on a Nintendo DSi XL in comparison to the smaller screen of a normal Nintendo DSi. You can use Mario for scale — notice how much bigger he is on the DSi XL? Hopefully this comparison has been useful to some of you! As you can see, the Nintendo DS has gone a long way. What does the next generation of DS hold for us in the future? We already have 3D now from the 3DS so what’s next? Then I suggest using the Nerf Armor cases which are the best cases ever! They can take a beating and unlike other cases, they seem to actually absorb the impact completely. That’s good to have since you’re probably going to hold on to your money until the Nintendo 3DS comes out. An accessory that is also awesome and available only for the DSi regular, is the attachable sound system speakers. They really increase your volume output, which is cool because some games have good music. I myself like Mega Man music…But that’s a different story. Just some information on the Screen Resolution. 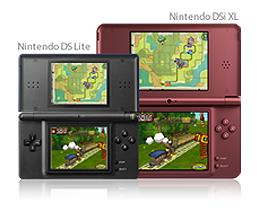 The screen resolution of all the Nintendo DS models (included the DSi and DSi XL) are 256×192 with 260,000 colors. On the DSi XL, the games are resized to fit the screen. While this sounds terrible, it does not destroy the game being played and make it look “blocky” so to speak. The games still look great. I hope this information helped those who were wondering about the differences between the Nintendo DSi, DSi XL, and DS Lite + Phat. 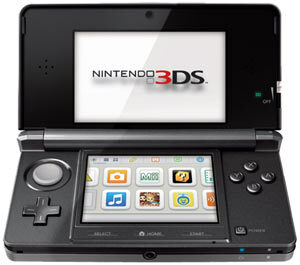 The Nintendo 3DS will be the next hand-held to join the comparison. There are a lot of settings that can effect your total battery life for this. Turning the 3D on/off or messing with brightness or WiFi can very much effect how things go. So there was a pretty big hit to battery life with the addition of the 3D technology, but that’s to be expected. There has also been a change to the actual cards itself. 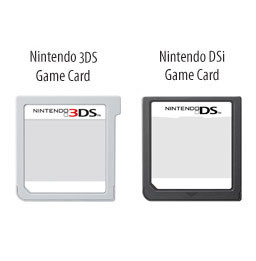 The 3DS cartridges look different than the normal DSi / DS cartridges. This entry was posted	on Thursday, April 8th, 2010 at 4:16 PM	and is filed under . You can follow any responses to this entry through the RSS 2.0 feed. You can leave a response, or trackback from your own site. Thanks! Hope it helped! I hope to do a similar comparison to the Nintendo 3DS when it comes out. Hopefully it’ll live up to the hype. After all, who wouldn’t love jumping on Goombas while playing Mario in 3d? Several errors on your post. First, DS Lite has 3.12 inch for both screen. Second, DS Phat weighs about 300g, not 275g. Third, DSi handles WPA as well. There is no enhancement on DSi XL besides larger screens and better sound quality. WPA only works for DSi enhanced, exclusive games, and DSi Shop. Regular DS Games can only use WEP, even on DSi XL. Thanks Trumpet. I actually had 300g for the weight of the DS Phat on the first table, but 275g listed in the second table by accident. Wasn’t sure about the WPA part so thanks for clarifying that. That’s not to say that Wikipedia is wrong and those sources are correct, but that’s just what I’ve noticed. they’ve only increased the screen size without increasing the resolution, then I’m not certain it’s a good thing. while this has been very helpful, i’m still not sure which to get my 5 yr for xmas. i’m on the fence with the dsi or the dsi xl. which would you truely buy for a kindergarnder? he’s played with some of his friends and they all have either the lites or the dsi’s. i was thinking the xl but after reading this i’m not sure. i need help! Hi there. Check back with us shortly. I am forwarding your question to the author of this article. While I am at it I will consult with another individual. I have a 4 year old daughter and she just loves playing my Nintendo DS Lite. She doesn’t need the extras of the DSi or even DSi XL to get a lot of enjoyment out of it. smkruegar, I was looking for the same answer you are. After reading this article I’m going to go with the XL. Its only $20 more or so, and bigger is better, right? And keep in mind the 5 year old will quickly grow into a 6 year old. While they don’t really need them, once they see all the cool features on their friends new XLs, they will be dissappointed that thier Lite doesn’t do the same. We got the DS Lite for our son when he was 4. It was perfect and it was well worth the money. It was perfect for his age the last few years although I’m amazed it surprised it has survived. They are rugged enough to handle young kids treatment. We are upgrading this year to the DSi for his 7th birthday. Most of the 5 and 6 year olds have the DS Lite, the older kids are getting the DSi’s now. Your detail is very good.That’s help me for know deep information about Nintendo ds. Thank. I agree, it would be very nice to have a XL version of the 3DS. Fortunately, the top screen is bigger than the average DS / DSi so that’ll help a tad. Does the 3ds have pictochat and is pictochat compatable across the board? The Nintendo 3DS is pretty neat with its features and is not that much more in terms of price than the previous versions of the DS. It takes a toll on the eyes though for those who do over a couple hours of gaming in one sitting. The dsi xl is great looking with the bigger screens but it is not as clear as the old ds lite,as the pixels have not increased.Instead the picture is just stretched.I got them but am returning them. I’m not sure about changing to the 3ds now as the battery life is so low.May just stick with the Lites. i had a dsixl for a year and a few monts.ples get dsi for mor kids.kids will engoy geting a dsi or a dsixl.i can donlod games and mor. i think the biggest deal there is dsixl mines the best. is that it ? is the dsi xl sold in black? Unfortunately not — but you can purchase a case for it that would turn it black without adding much bulk to it. All I can say is.. I’m just so grateful I didn’t get a 3DS..although I was tempted after trying it at a store..I almost knew 3dsxl will come out, but I just couldn’t wait to get DSi XL for eye comfort..plus I’ve been thinking over it for a few months so when the metallic rose one came out I just couldn’t hold it any longer. I do regret getting DSi XL, but then there are a few things which don’t make me regret as much, including the battery life (DSi XL has considerably longer battery life compared to 3dsxl), and the eye fatigue during playing 3d games (because the initial purpose of getting a DSi XL was to reduce it), and the color of the consoles (I’ll be having it for a while before I sell it, so I might as well get the perfect color). I’m just so bummed out they already released 3dsXL because it hasn’t been long since I got my DSi XL (about a year..still doesn’t feel like it’s been that long, and that was already my second Nintendo console purchase. NDSL was already quite an investment for me, and I intended to use it forever), and DSi XL was already an upgrade for me from NDSL. 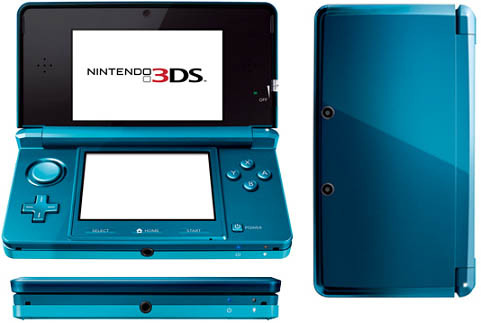 Seriously I think they could have made 3DSXL in the first place instead of making separate 3DS and 3DSXL. Thank goodness I didnt get 3DS.